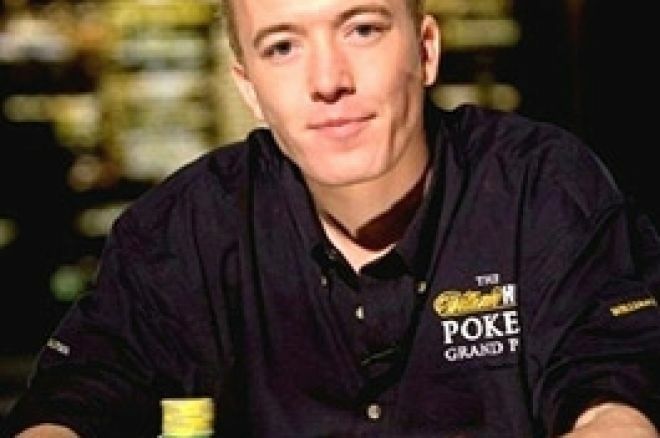 UK Poker News continues its quest to highlight promising UK and Irish poker talents. Greg Hill, from the Nottingham area of the UK, has shown he has what it takes to make headway in the competitive world of poker. Many poker players dream of turning in the day job to play poker for a living. Greg did just that and set off on a road that turned out to be anything but straight and flat, including some remarkable highs and lows at the televised William Hill Grand Prix Poker Championship, mixing it with the big boys – lots of them! Greg especially recalls a certain Hendon Mobster, Ram Vaswani! In Part 1 of the interview, Greg reflects on the joy and despair he felt at his TV appearances during the William Hill Grand Prix. In Part 2, to be published soon, Greg ponders some of the harsher realities of playing poker while balancing the demands of a busy home life. UKPN: Hello Greg, thanks for taking the time out to chat with UK Poker News. GH: You’re welcome, any time. UKPN: Greg, before we move on to the nitty-gritty, can you give us a little background about yourself and how you got started in poker? GH: I am 27 years old and have been playing poker for about 4 years now. I started off playing small £20 re-buy tournaments at the local casino in Nottingham, where I had some early successes despite being a total fish but I guess there is such a thing as beginner’s luck! I gradually built up my playing experience and bank roll before branching out to some of the bigger support events at the regular UK festivals in places such as Sheffield, Walsall and Luton. UKPN: We’ll get onto the major win that brought you to where you are now, later in this interview, but you came to people’s attention earlier this year with your two appearances on Sky Sports playing the William Hill Grand Prix. You wrote about your win in the heats and the overall experience of mixing it with the big boys, here at UK Poker News on 24th February, but can you tell us about the Final itself – not the hands or play, which we can get onto, but the day itself for you? GH: Following the victory in my heat of the WHGP I had a few days to take it all in and relax before the final, to tell you the truth I didn’t actually do much relaxing – I was walking on air – I was so delighted to be in contention in such a huge tournament. I decided to go home and come back a few days later refreshed and ready for action. I was again put up in the fantastic Cardiff Hilton along with my girlfriend. We arrived late evening the day before the final and I was already getting excited. I didn’t really feel much like eating so we just hung around the room and watched some TV – I suppose I wouldn’t have been much company, my mind was very much focussed on the following day’s events. I was told to report to reception at mid-day where a limousine would collect the players and take us to the studios and the film crew were going to do some shooting for the WHGP documentary along the way – wow, I felt like a pop-star! The car arrived at about 12:30 and all the players walked out of the revolving doors of the hotel, Reservoir Dogs style (I was most definitely Mr White – nerves were beginning to take hold now). We chatted for the entire journey, with Phil Laak talking absolute gibberish all the way, Pascal Perrault staring into space and Ram Vaswani just being cool. We arrived at around 1pm and I was immediately greeted by the producers of the show, the William Hill Poker Manager and that lovely young lady who would be doing my make-up again! I already protested prior to my heat and it seemed my protests were going to be futile once again. Anyway, after make-up I was miked up, interviewed by Vicky Coren (she gets everywhere that girl!) and it was game on! I drew seat 1, which I normally hate as you can’t see seats 9 and 10 but this was the WHGP and the table was the biggest I have ever seen and every player was in full view. I had Ram two to my left (I didn’t fancy it already) and Ken Lennaard and Phil Laak to my immediate right (this I didn’t mind too much, although I knew every player at the table saw me as the one they wouldn’t mind tangling with). – It felt like I had a huge target on my forehead so I was determined not to go out with a whimper and was determined to mix it up early as I knew these boys were expecting me to start very cagily. Once Thomas Kremser’s formalities were over with, it was “shuffle up and deal”. – I couldn’t wait! UKPN: The Final itself was short-lived for you thanks to a brutal set of cards that saw you knocked out by Ram Vaswani holding the nut hand. From their position, it was easy for the commentators to pick holes in your playing of that hand but I think most of us mortals had sympathy with you! I know you have agonised over that hand ever since but, for the benefit of UK Poker News readers, what is your view in the cold light of day? GH: Yes, you’re right, I still agonise over this hand a lot and there is hardly a day goes by where I don’t think about what might have been. In the cold light of day I can see huge holes in my play on the hand. Lucy Rokach, who was commentating said something along the lines of me “asking Ram all the right questions” with my betting but I didn’t take any notice of the answers he was giving me. The truth of the matter was I didn’t really like being out of position in the pot with such a great player so this was affecting the way I played the hand. I would have normally been so much more certain of what to do and would have probably taken the pot straight away against a lot of other players but Ram seemed to have me hypnotised. I was also determined not to let him take the pot away from me. I could sense he had decided to target me from the outset and just felt he was making a move on me – how wrong I was. I suppose I did have the second nuts against the absolute nuts, which is difficult to get way from at the best of times but when you’re under the TV lights and the pressure is on it’s even harder to make the right decisions. UKPN: Looking back at the Grand Prix, from what you saw of the play, who impressed you the most from the professionals and why? GH: Christer Johansson was tough to play against in the heat; I like his game a lot. Roy Brindley impressed me too in his heat and in the final but Ram Vaswani was by far the player of the tournament for me. I always knew Ram to be a great player but I had never played with him before. He seems to have this aura that surrounds him, he is absolutely unreadable and totally fearless – I was very impressed with him in the final but even more so in his heat that I watched on the TV. A lot of poker players that are around on the circuit are of a very similar standard, some slightly better than others and some noticeably worse. It’s rare that I play with someone and I am truly impressed by their play but this was the case with Ram. This interview continues very soon at UK Poker News. Be sure to check back every day for this and all the latest UK and Irish poker news.